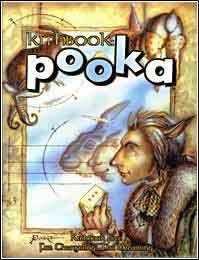 New Merits and Flaws for pooka characters. Is the cover in color like the original? Or is the whole book black and white? Why is this the only Kithbook that is not in color? Is it because it is the most expensive one out there to get on the open market? If so, what is anyone in the publishing arena getting out of it? No, actually ... the original print release of this book from 1999 was Black & White print. So the DriveThruRPG formats would be in Black & White as well.